Dimitri Simes is also a publisher of the Center’s foreign policy magazine - The National Interest. He was selected to lead the Center by former President Richard Nixon, to whom he served as an informal foreign policy advisor and with whom he traveled regularly to Russia and other former Soviet republics, as well as Western and Central Europe. 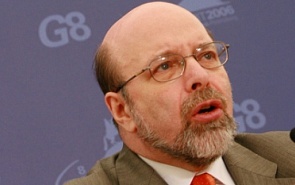 Before the Center was established, he served as Chairman of the Center for Russian and Eurasian Programs and a Senior Associate at the Carnegie Endowment for International Peace. Earlier, he was director of the Soviet research program and a research professor at the Nitze School of Advanced International Studies (SAIS), at Johns Hopkins University. He also ran the Soviet policy program at the Center for Strategic and International Studies, and taught at the University of California at Berkeley and Columbia University.